ABAP programmers can connect to SAP systems from Eclipse to develop ABAP project in Eclipse development environment. 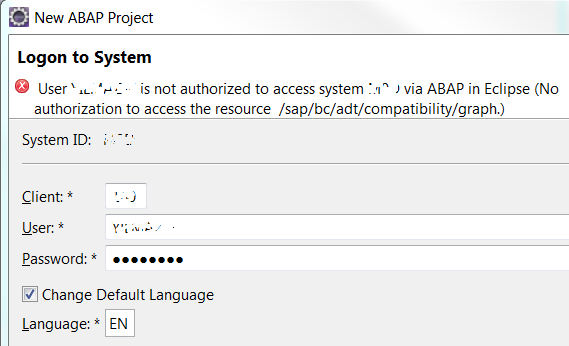 While I try to connect to a SAP system for development in Eclipse for the first time, I got "User is not authorized to access system via ABAP in Eclipse" error message. Later I learnt that ABAP Development Tools guide shows configuration settings and authorization roles required for ABAP development in Eclipse. When I create new ABAP project in Eclipse Juno development IDE where I manually define new system connection for a SAP system client, I got following authorization error message at SAP logon step. Then define SAP system connection properties manually for use in new ABAP project. 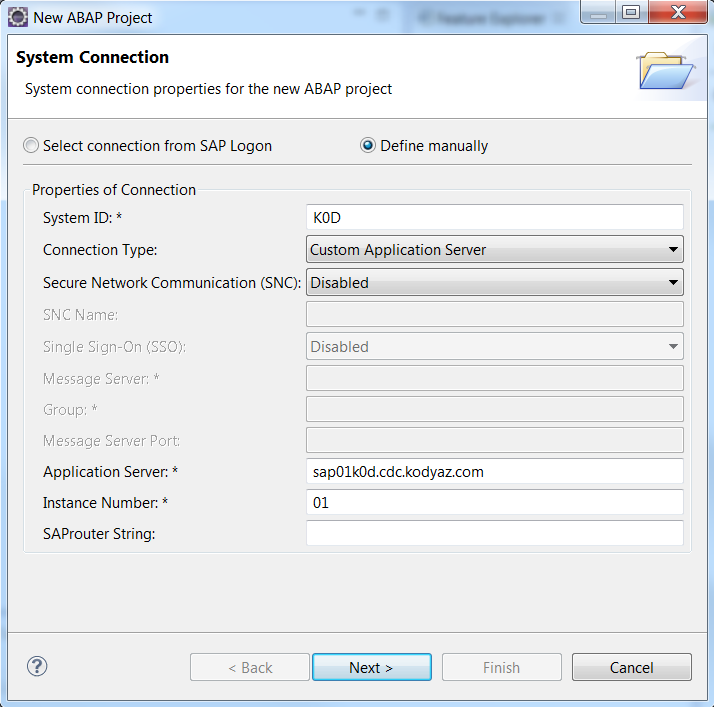 The wizard then enables ABAP developer to logon to SAP system with user account. Unfortunately if required roles are not assigned to ABAP developer the error "No authorization to access the resource /sap/bc/adt/compability/graph" will be experienced.